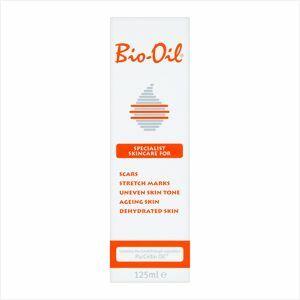 Bio-Oil is a specialist skincare product that is recommended for scars, stretch marks, uneven skin tone, ageing and dehydrated skin. It is formulated for use on both the face and body. Apply twice daily for a minimum of 3 months. During pregnancy apply twice daily from the start of the trimester. See enclosed leaflet. For external use only. Do not use on broken skin. In the unlikely event of skin irritation, discontinue use. Individual results will vary.